Semonin’s award winning relocation professionals focus on individuals and families moving into our region and away from our region. 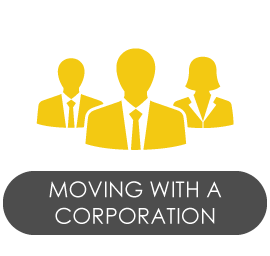 Your move could be part of a corporate relocation or just a personal decision to live somewhere different in the world. 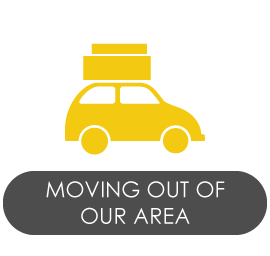 We have very experienced relocation professionals working with a highly trained team of Semonin agents to help your move into Greater Louisville and surrounding areas is as stress-free as possible. This same team is ready, willing and able to assist with your move to another part of the United States or almost anywhere in the world. Click on logo for more information. The real estate business is largely local in nature, which explains why independent, locally branded real estate firms continue to dominate many markets. The entity that connects all of these top brands is Leading Real Estate Companies of the World®, whose affiliate companies (nearly 700 firms with 5,500 offices and 170,000 sales associates in 38 countries worldwide) sell over $370 billion annually in the U.S., more than any national franchise brand. They are also the Number One companies in terms of sales or volume in 44% of the top 88 markets. Unlike franchisees, who pay a national network five to seven percent off the top of all revenue for advertising which may or may not drive specific leads to their agents, independent companies are able to deploy those dollars to develop local programs, reach local target audiences, and build resources that directly benefit their associates. Because independents are not controlled by corporate offices thousands of miles away, they are able to adjust expenditures and programs more quickly and strategically as the market changes. LeadingRE firms have strong local reputations and many are long-established companies in the community. In fact, one of the oldest residential firms in the country is a LeadingRE affiliate, and a high percentage of our member companies have been in business for over 25 years. These strong ties to the community, consistent and reliable performance over time, and accountability that comes from having the owner’s name on the door are all factors that inspire the consumer’s trust. Leading Real Estate Companies of the World® recruits only the best of the best among locally and regionally-branded firms – because each firm’s local brand and performance reflect upon other affiliates nationally and globally. Membership is a privilege which can be terminated by either party at any time, unlike national franchises with 10 to 30-year contracts. This means that the LeadingRE network must provide a strong value proposition year in and year out, and it means that its members must maintain high performance standards in order to retain membership. Worldwide ERC® is the workforce mobility association for professionals who oversee, manage, or support U.S. domestic and international employee transfer. The organization was founded in 1964 to help members overcome the challenges of workforce mobility. Our members come from many professions -- HR; recruiting, government; military; real estate; financial services; moving; counseling; consulting; and more! Solid bylaws and statement of shared values ensure that Worldwide ERC® continues to grow and enhance our service to our customers. As the recognized authority on workforce mobility, Worldwide ERC® conducts unbiased research on a wide range of issues related to workforce mobility policy and programs. Visit our Newsroom for the latest Press Releases. As a membership association, Worldwide ERC® provides a wealth of products and services that contribute to the success of our members. Joining our organization provides exclusive access to robust and constantly refreshed information, valuable networking and benchmarking opportunities and tools for career success in this constantly changing industry.